Broadcast campaigns let you send mass email marketing, SMS and perform any action in bulk. The messages are sent manually and you have to schedule a specific date and time to start it. Just like automations, to create a broadcast, you need to set triggers and choose an action to be performed. 1. 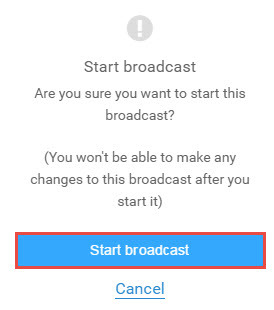 To create a broadcast, go to the Broadcasts menu and click on the New Broadcast button. This will take you to the Create Broadcast screen. 2. Set a goal for the broadcast. For example, our goal is to Re-engage Old Hot Leads. 3. Define a trigger or a group of triggers that will set off the broadcast. 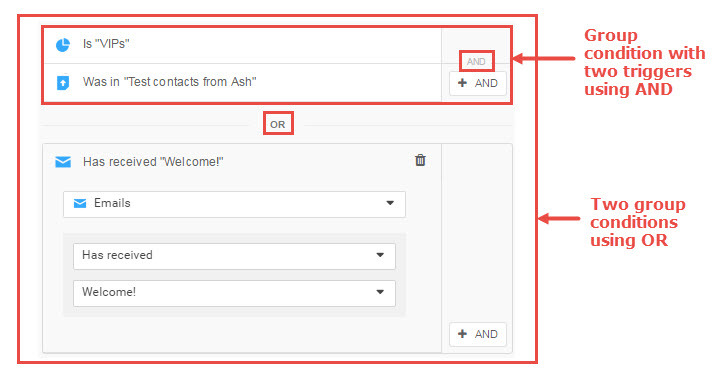 Triggers are conditions based on the contact and event data that you have collected using Route. 5. Indicate the actions to be taken once your trigger conditions are met. You’ll notice that there are two types of actions that you can take – send automated messages (such as emails) to a contact or send contact information to a third party application such as Zapier or Pipedrive. In our case, we’re scheduling a personal email to be sent on June 22, 2016, at 10 AM for all contacts that meet the conditions set. Note: With broadcast, you can only schedule one action. Also, unlike the automations that you can send once the trigger conditions are met, broadcast messages need a specific date and time. 6. Click on Save As Draft to save your broadcast as a draft. The broadcast won’t start until you click on Start. 7. Once you’re ready, click on Start. The following message will be displayed. 8. Click on Start Broadcast. That’s it! Your broadcast campaign is now active. Once the action is performed, you’ll be able to see the corresponding performance metrics. Can I stop a broadcast? What happens next? 1. Yes, you can stop a broadcast. To do so, click the Stop button at the top right corner of the Broadcasts menu. 2. Click on Stop broadcast. Note: Once you stop a broadcast, you cannot send it again. You’ll have to create a new broadcast. Next: Learn about our different types of email.